Love is in the London Air! 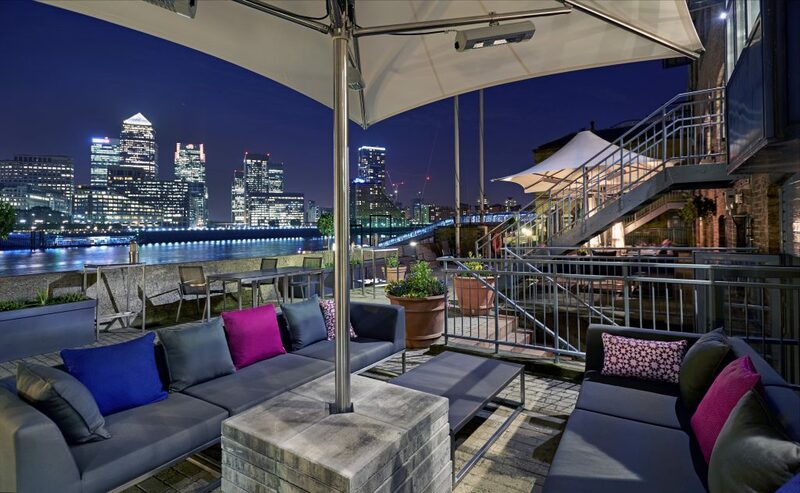 Love is in the London air for us at the moment because we’ve been looking at a selection of beautiful 4 and 5-star London hotels with a view to celebrating love! With Valentine’s Day fast-approaching you may have been thinking about asking a question of your loved one. And if that is the case, along with the ring, you’ll need a romantic setting to ask THAT question! You’ll want to know the champagne is on ice to toast the occasion. And maybe, if you’re feeling extra confident, you’re even thinking further ahead and planning that the place where you get engaged could be the hotel to host your wedding, civil partnership or wedding breakfast. So before you finalise the finishing touches for your Valentine’s Day proposal, take a look at these ideas and London hotels which are perfect for romance. Bloomsbury in West London is well-known for its museums, bookshops, green squares and blue plaques. For a literary lover it’s a treasure chest of gems so picking this place for a proposal is sure to be the start of a great love story. 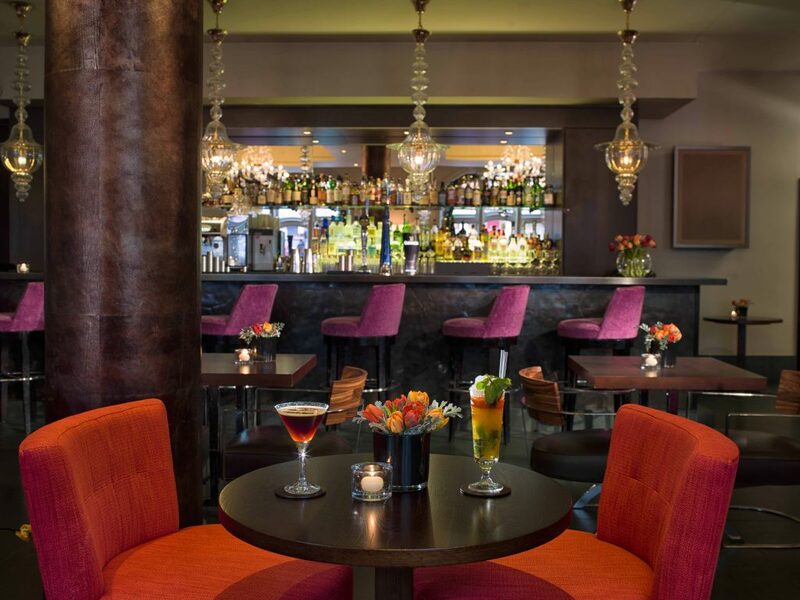 The Radisson Blu Edwardian Bloomsbury Street Hotel oozes opulence, style and sophistication. It’s located opposite the British Museum; always a worthwhile visit. 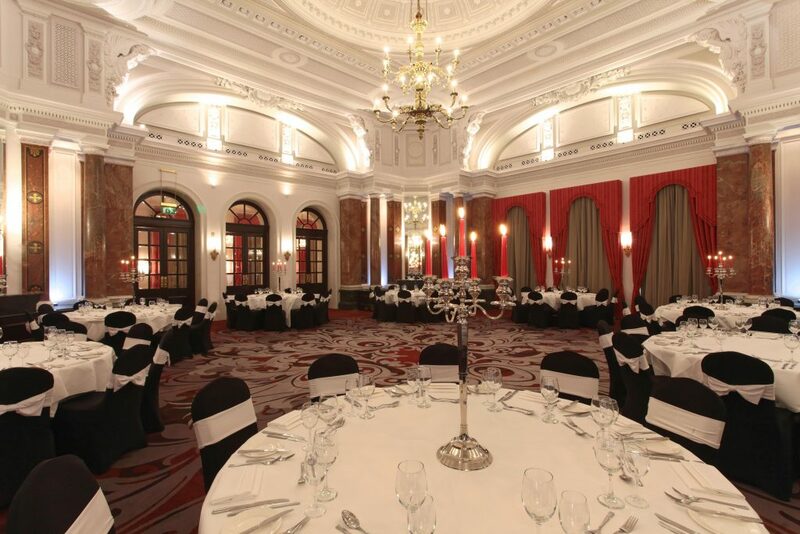 For business meetings and conferences, this London hotel is an excellent choice with its ten well-equipped rooms. For a marriage proposal it’s a big shiny sparkler certain to dazzle and delight! We suggest you set the scene for love in the hotel’s restaurant, Steak & Lobster London. The modern, chic eatery has a relaxed atmosphere and you can be certain of excellent service. Pop the proposal over a carefully crafted cocktail such as The Passionate or a chilled bottle of Moët & Chandon and then enjoy a chargrilled lobster with lemon garlic butter. If you’re turning your Valentine’s Day proposal into an overnight stay, Radisson Blu Edwardian Bloomsbury Street Hotel has superb guest rooms. 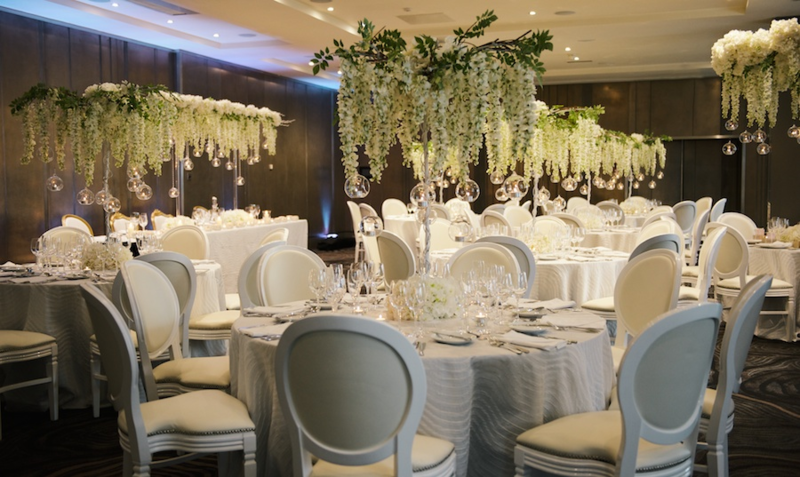 Finally, if you decide your dream wedding day will be hosted at the Bloomsbury Street Hotel you will be able to enjoy your day with up to 200 guests in exquisite space. A red carpet arrival, designer chairs and covers, special lighting and a private area for signing the register are the ingredients for a memorable occasion. 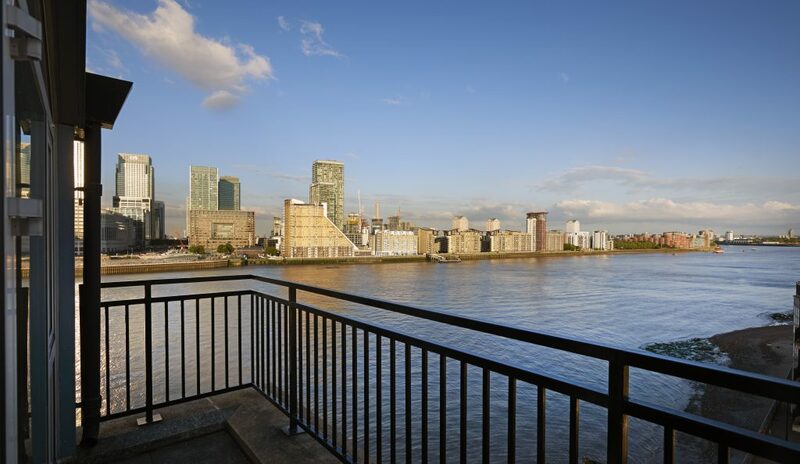 The River Thames is certainly an iconic setting for a marriage proposal and if you want to sweep a loved one off their feet, jump aboard the ferry service at Canary Wharf Pier for the short journey to the Doubletree by Hilton Docklands Riverside. It’s a complimentary service for hotel guests which we think is a very nice touch. Once at the hotel, you have a couple of choices for the proposal. If you’re after a quiet area then we suggest by the fireplace in the Library. If you want total privacy many of the guestrooms have a private balcony with views over the river and The City. This certainly makes for a memorable backdrop for your Valentine’s Day proposal in London. If on the other hand, you’re arranging a larger gathering to include family and close friends, the Snug is perfect for up to 14 guests. You can enjoy bar snacks, cocktails and international cuisine from the menu as part of your special occasion. The riverside terrace is an inviting and relaxing space as well. If you’re planning a summer wedding or civil ceremony, the terrace is fantastic space for entertaining guests over summer cocktails and a sizzling BBQ. Furthermore, this is an option for event planners to incorporate into a day of business meetings as a BBQ always makes an exciting change when catering for delegates. Trafalgar Square in central London is certainly a vibrant and popular place to visit. Along with being the site of a Christmas tree sent as a gift every year from Norway, the square is also well-known for an old democratic tradition whereby people are permitted to hold rallies and demonstrations on the square at weekends. Trafalgar Square features the five metre Nelson’s Column and impressive bronze lions which guard it. Fountains dating back to 1845 add to the splendour and heritage, along with the statues and the Fourth Plinth which features contemporary artwork. All in all, it’s an iconic setting that creates a memorable backdrop for a marriage proposal. 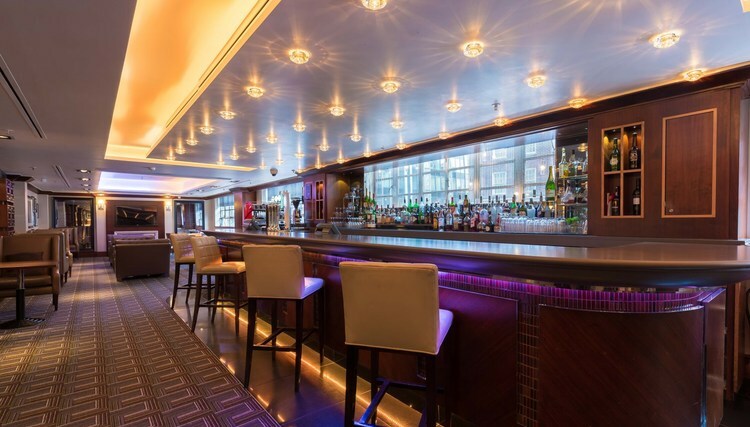 Just steps away from Trafalgar Square, you will find the Amba Hotel Charing Cross. The Grade II listed building has stunningly designed rooms complete with period features. Incidentally, they make a stately setting for business meetings as well as celebrations. 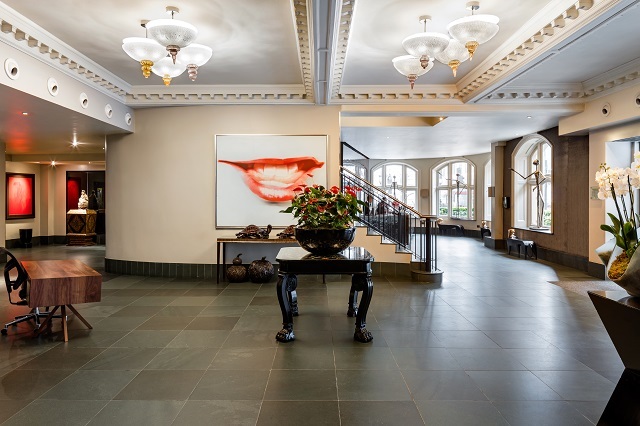 When you enter this London hotel, the first thing you will notice is the magnificent lobby. It has a sweeping marble staircase which would make a fantastic place for posed wedding photographs. Whether the wedding couple, the wedding party or all of your wedding guests congregate here, be sure to ask your wedding photographer to capture the moment! But let’s get back to the proposal! Pick a spot by the window in the Terrace Bar to celebrate your engagement. You can both toast your future with a Martini, cocktail or a strawberry lychee bellini before you indulge in a celebratory meal in the lovely restaurant. If you can take your eyes off each other, there are some great views of The Strand below! 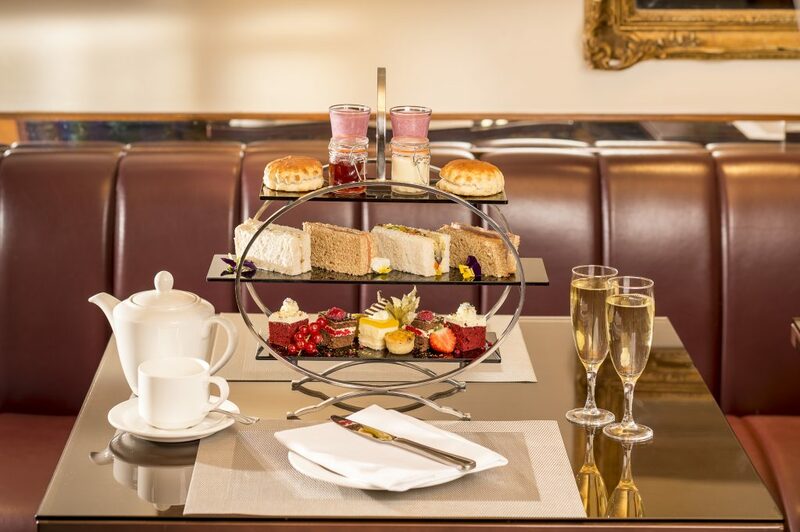 Tea poured from a pot into fine china cups and a heavenly three tiers of delicate sandwiches, scones, lemon drizzle cake and macaroons. Add in a London backdrop of style and seal the sophisticated afternoon occasion with two flutes of fizz. Surely these all the ingredients needed for a classy Valentine’s Day proposal in London? 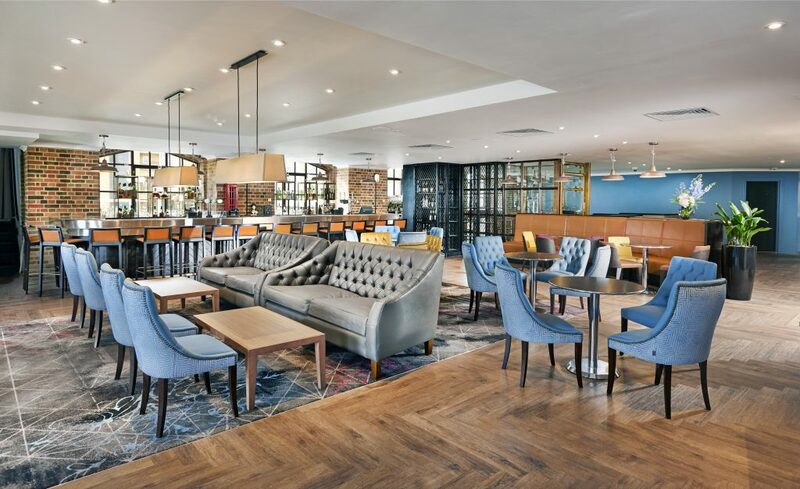 If you’re in agreement, then the Copthorne Tara Hotel in the London Borough of Kensington and Chelsea is the setting for you to ask will you marry me! 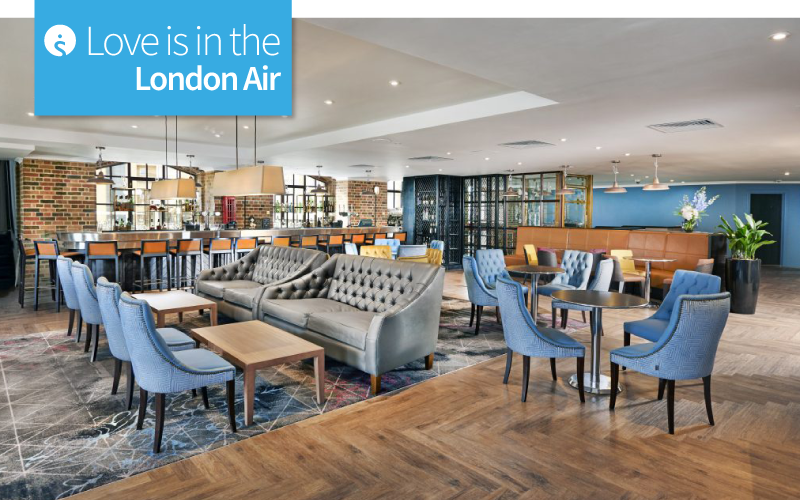 For more 4 and 5-star hotels in London that are perfect for a proposal of love, an engagement party, a civil ceremony or a wedding, visit our London Hotels Wedding Collection. Previous Post:Mix, Muse & Mingle in Manchester this Summer!